If you could have a drink with anyone in the theater world, who would it be? 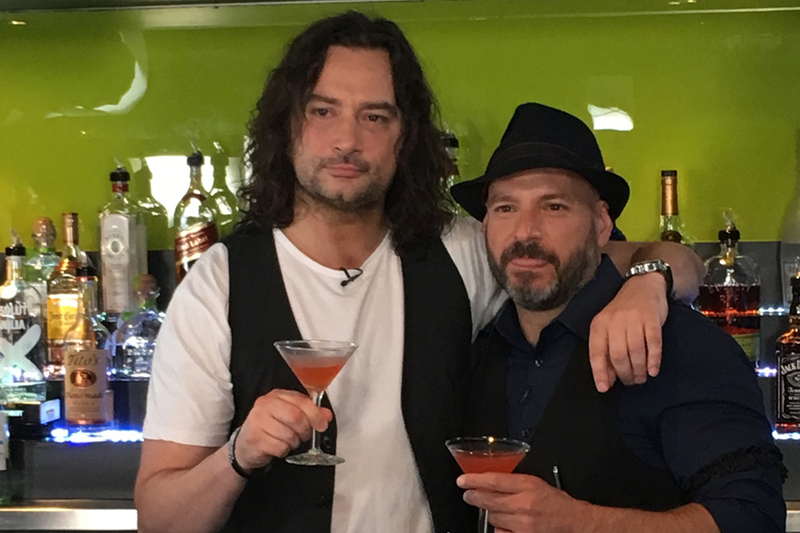 In this episode of Broadway Bartender, host Anthony Caporale welcomes CONSTANTINE MAROULIS to the bar! Constantine Maroulis was born a scrappy kid in Brooklyn with big pipes, deep pride for his Greek heritage, and a love for the theater and rock n’ roll. It was an upbringing a world away from the showbiz glitz of New York and Los Angeles, yet he would come to penetrate the firmament of stars in those galaxies many times. Constantine first came to prominence as the beloved rock n’ roll underdog on American Idol. He then secured his place in pop culture as a Broadway superstar, best known for his TONY-nominated role in Rock Of Ages. Now, for his third act, he begins an invigorating and promising new era with a bevy of intriguing projects, including putting the finishing touches on his most assured and swaggering solo music to date. Recently Constantine starred as Sergio in the world premiere musical production of The Most Beautiful Room in New York. Constantine is also developing a number of creative projects in TV and film, including Tony Nominated work as a producer of Broadway’s revival of Deaf West's Spring Awakening, as well as recently releasing the singles, “All About You”, “Here I Come” and “She’s Just Rock N Roll,” from his upcoming album slated for an early 2018 release. Additionally, Constantine recently played Judas in the MUNY production of Jesus Christ Superstar, and Che in the North Shore production of Evita.